When I saw the preview for this kit, I was a little unsure about all the muted colors and graphic prints. I typically prefer bolder colors, but all my layouts came together so quickly. This first page features my bff, Jamie's, adorable boys. These pictures are from their family session back in August. I can not get over how grown up they are. Jamie and I met back with E (left) was just a few weeks old. We've only been friends about 5 years, but it feels like they have always been a part of our lives. 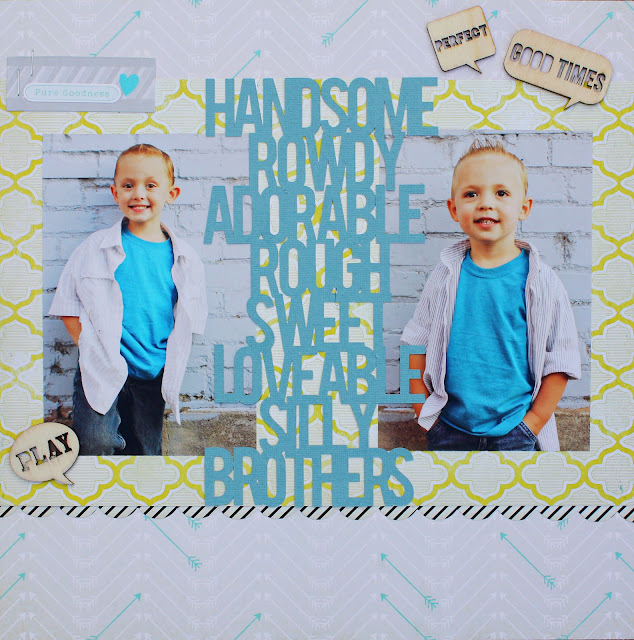 I'll be sharing how to make this word art on the Scrapbook Circle blog in the next few weeks so make sure you are stopping by regularly. I've been trying to be better about taking pictures of this little girl - she is also growing up too fast. She looks 6 or 7 in this picture, even though she's only 4. I focused on using the Pink Paislee ephemera in the kit. 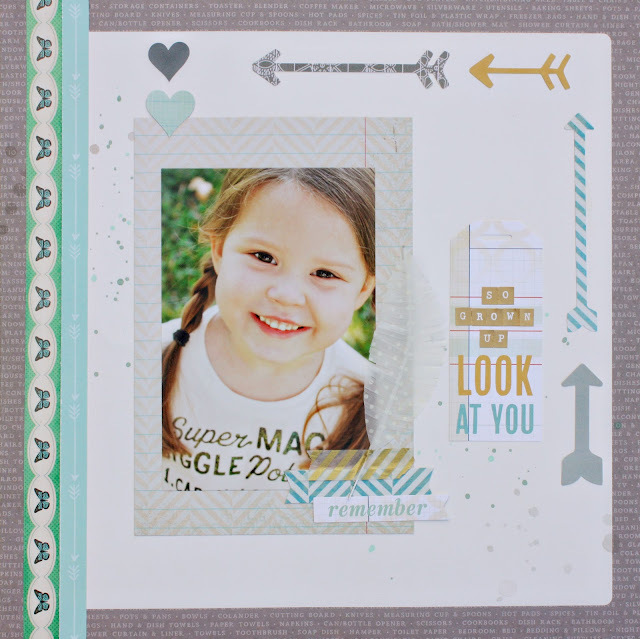 I really love die cut packs, I find they are so versatile and you get a lot of bang for your buck. I loved this Dear Lizzy sticker, it reads " You bring so much love to my life." And while a toddler also brings a lot of other things, Love is definitely the best and most important one. Lately, with the trial of infertility, I've been trying so hard to focus on Zoe and all the wonderful things being 4 has in store for her. Zoe was the one who first made me a Mother, and that is the most amazing gift. 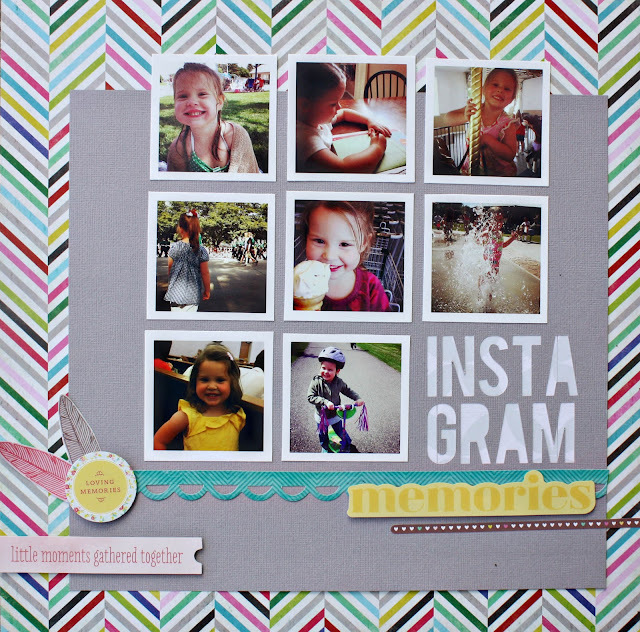 This last page is full of instagram memories from this summer. I realized I don't use my instagram photos enough. I cut out the title using my Silhouette SD and the Bebas font. Thanks for stopping by. Make sure to visit Scrapbook Circle to see what the other DT ladies did with their kits! these turned out AWESOME--you ROCKED it! I'm still trying to figure out exactly how I am going to do it. One of my concerns is how to print the pics? Can you share w/ me how you printed yours? Beautiful pages! Really loving what you did with the kit. The word art on the first page looks fantastic.